Recently, the Scottish Parliament put the final imprint on the Community Empowerment Bill. I think it offers potential and hope for communities around the country to take control into their own hands, through the purchase of land and resources to make them work for the people. 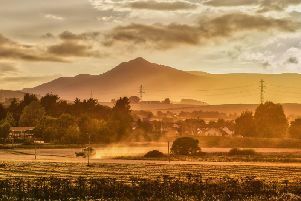 I feel that community empowerment is about more than just the purchase of land and buildings and it offers opportunity to both urban and rural Scotland. The Scottish Land Fund has been used to support great local initiatives like Strichen Community Park in my home village. Strichen lake used to be an overgrown wilderness but now, thanks to local voluntary effort, it is a wildlife garden and generates both jobs and enjoyment for local residents and visitors. Now the same opportunity is to be presented to more people in our great cities like Dundee and Glasgow. I would now like to see community land ownership extended to some of the great resources of our rivers as well. Scottish salmon and trout fishing is in crisis. In response to some appallingly low catch rates I announced the Independent Wild Fisheries Review, when I was First Minister, in January 2014. It reported last October and came up with some useful initiatives such as annual close times and the extension of catch and release. As angling catches have declined so have the catches of the salmon netters. In some of our rivers people have been exercising their heritable right to catch by net since the time of Robert de Bruce. The Ugie salmon company in Peterhead, for example, boasts the oldest smokehouse in the country. The two interests of angling and netting have often been in competition. As resources have got scarcer then that competition between netters and anglers has become ever more intense. However, it is entirely right that the anglers of Scotland should join the many other communities now enjoying a pre-emptive right to buy and I think that legislation should be amended to make that possible. That would prevent such an injustice as we see now in the Ythan ever arising again. The next time netting rights come up for sale then there should be the option of putting them into the hands of those who have the most interest in conserving our rivers the anglers who fish them. If the land should belong to the people then so should some of the water! The Scotland Bill has been the focus of parliamentary debate in Westminster this week and the SNP’s group of 56 MPs have been working hard to ensure the legislation lives up to the promise of the Smith Commission. At a time of savage cuts to the welfare state by the Tories - causing real hurt to hard-working families and vulnerable people, and driving more and more people to food banks - the choice is between having welfare powers in Scotland’s hands, or leaving them in the hands of Iain Duncan Smith and George Osborne. There is no other option. That is why the SNP’s welfare amendments to the Scotland Bill are so important, and why Scotland needs the Opposition parties to come together to support them. Where Scotland has powers, we are doing better than the rest of the UK. For example, a smaller proportion of children in Scotland are living in poverty compared to the UK as a whole - largely due to measures taken by the SNP Government to mitigate Tory cuts, such as greater investment in social housing. But the figures are still unacceptably high - an enormous amount more needs to be done, which is precisely why we need more powers, including welfare.